The best has just gotten even better! 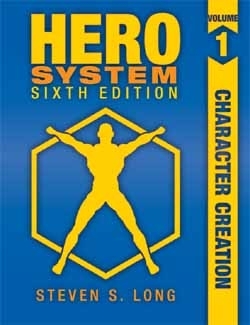 The HERO System 6th Edition brings new levels of flexibility and creativity to the acclaimed HERO System, allowing players to create any sort of character, power, gadget, spell, vehicle, monster, or weapon they can think of. Whatever you want to do, in any genre, setting, or time period, the HERO System 6th Edition rules will let you do it! -guidelines for converting characters from the 5th Edition to the 6th Edition, to make the transition process a simple one and ensure that books written for the 5th Edition rules remain just as useful to HERO System gamers!